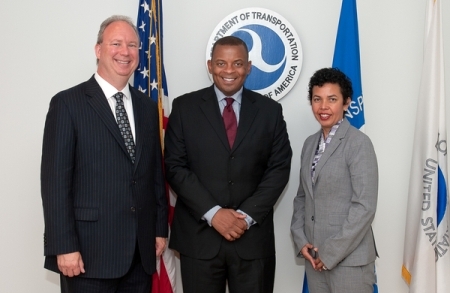 APTA's Chair Flora Castillo and President & CEO Michael Melaniphy met with Secretary of Transportation Anthony Foxx on Aug. 28. Also in attendance were FTA's Administrator Peter Rogoff; Deputy Administrator Therese McMillan; Under Secretary, Public Policy, Polly Trottenberg; and Deputy Assistant Secretary, Transportation Policy, Amy Scarton. APTA's Art Guzzetti and Robert Healy also participated. Secretary Foxx spoke about his priorities and plans for DOT. Castillo and Melaniphy took the opportunity to talk about APTA's pending and future initiatives and the importance of the federal-state-local-private partnerships for investing in public transportation. FTA is holding two webinars on its recently published Final Policy Guidance on the New Starts and Small Starts Evaluation Rating Process under MAP-21. The sessions will be held on Sept. 5 and 10. Space is limited and will be filled on a first come, first served basis. APTA's Annual Meeting, taking place in Chicago, is just around the corner. Make sure to attend the always popular Products & Services Showcase, which opens Sept. 29. 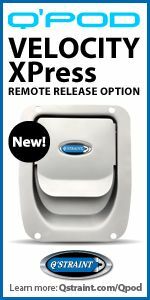 You'll be able to see first-hand the most cutting-edge technologies. There is still time to register for the meeting! Los Angeles County Metropolitan Transportation Authority launched a new app that allows its riders to directly report non-emergency incidents to local law enforcement officials. The Apple- and Android-accessible app allows passengers to submit information through the "Report it" option. Two kittens were rescued by a New York Metropolitan Transportation Authority employee and policemen in Brooklyn. Officials cut power on the tracks when they caught sight of the felines, who were safely sent to a care shelter. A masked superhero is walking the halls of a Tokyo subway station helping passengers carry luggage, walk up and down stairs, and get on and off cars. The masked crusader was initially thought to be a strange sight but has become accepted and even admired by subway-goers.